Present-1996- Marbella-Madrid. Individual works. (Architecture and interior design). Present-2005-Marbella. Collaborations with Jaime Parladé. (Architecture and interior design). 2011-2009-Marbella. Collaborations with Eduardo Zawoioski. (Architecture). 2010-2000- Marbella. Collaborations with Georgie Kee. 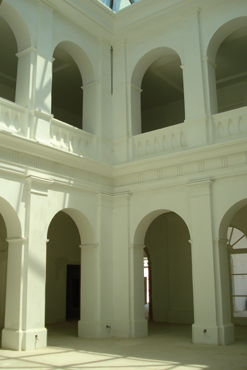 (Interior design). 2010-2007-Marbella. Collaborations with Estuco Interiors. (Architecture and interior design). 2006-2005- Marbella. Collaborations with Torras y Sierra (Architecture). 2005-1988-Madrid- Marbella. Work and collaborations with Jaime Parladé; and with Eduardo Dorissa, Eddy Gilbert, Julie Hodges, Christopher Mason, Gerry Huggan and Richard Lincoln. (Antiques, interior design, landscaping and architecture). 1995-1992- Madrid – Marbella. Work with Jaime Parladé and Mario Connio. ( Architecture and interior design). 1988-1987 – Marbella. Work with Ciancimino-Parladé. (Antiques and Interior design). 1987-1985 -London. Work and collaborations with Alvaro de la Torre and Jean-Claude Ciancimino .(Antiques). Copyright DAI © 2019. Todos los derechos reservados. Desarrollo web Host-Fusion Hosting Wordpress.